Pakistan is blessed with a good genetic potential for dairy development. Buffalo, being the principal source of milk, produces about 66 per cent i.e., 24.2 million tonnes, while cows contribute 32 per cent, and goats and sheep two per cent. Despite good genetic potential among animals, low production is due to poor nutrition, mis-management, failure to control diseases, and lack of proper marketing of this highly perishable commodity. In urban and peri-urban areas, the cost of milk production is high. Production in rural area is untapped on account of the perishable nature of milk, poor transportation, and unorganized producers. According to an FAO report, buffaloes are recognized as the “Black gold of Asia”. The average yield per lactation has been calculated from 1800 to 2500 litres, while few specimen can produce up to 6,000 litres in 305 days. Milk of buffalo is low in cholesterol and high in calcium than of cow, sheep or goat. 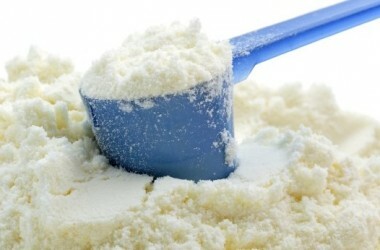 It contains 18-23 per cent protein, fat, minerals as compared to 13-16 per cent in cow’s. This is advantageous for production of cheese and other products. The meat of buffalo is tasty and contains low saturated fat than beef. Buffalo is superior to other draught animals in wet or waterlogged conditions, such as in muddy paddy fields. They can also be used for cart haulage, carrying heavier loads than cattle, and also help in improving the soil structure and fertility while treading paddy fields. Each year, an adult buffalo produces 4 to 6 tonnes of wet manure plus additional urine as bio-fertilizer to the land. This reduces the need for chemical fertilizers, as well as provides essential soil humus which chemicals are unable to do. Buffaloes are cash savings, ensuring socio-economic security to farmers. Their value increases without incurring heavy costs, plus the advantage of reproduction. About one-third of the total milk production is consumed as fluid, and similar quantity for ghee preparation, while the remainder is converted into butter, cream and indigenous milk products like curd, khoya and lassi. In Sindh peri-urban dairy farms are the main source of fresh milk supply. There are two types of buffalo sheds, 55 per cent Kacha – made up of wood as temporary arrangement, and 45 per cent Pacca – permanently brick and cement constructed. Around 84 per cent of farms are dependent on groundwater, while the remaining 15 per cent on supplies. Nutritional feed, the most important factor, is hampering the livestock productivity in general and milk production in particular. This area needs immediate attention. In traditional livestock farming they are fed chopped fodder and wheat straw. Rarely, home grown grains, kitchen wastes and concentrates are offered to milking animals. However, commercial livestock owners purchase fodder and concentrate from markets. Concentrate generally contains wheat bran, cottonseed cake and rice polishing or crushed wheat. The use of compound feed, urea-molasses blocks and treated straw is uncommon. A survey has revealed that dairy farms use traditional feed system. Lactating animals are fed chopped green fodder with wheat straw and cottonseed cake. Resource allocation is the main axle on which the profitability of an enterprise revolves. Optimum use and proper combination of inputs results in high productivity. Resource allocation, and cost estimation help in planning, along with determining the scale of operation, level of gains and economic feasibility of the enterprise. It serves as a yardstick to efficiency. READ MORE: Milk: What Pakistan thinks? Initial investment in dairy farm includes the costs of land, shed, animals, water and electricity connection and fodder cutting machine cost. The fixed costs are rent, utensils for keeping milk (baskets, canes), iron chains, pegs and ropes and the labour engaged for looking after the animals. Although, retail price is set by the District Food Committee, the price at producer level is determined with the mutual agreement of trading parties. During the survey, it was observed that the producer sells milk to retailers at Rs17 per litre in small size farms. While in medium and large farms it is sold to retailer at Rs18 per litre, and the producer/retailer sell to consumer at Rs20-22 per litre. This indicates that market forces (demand and supply) play an important role in determining the prices at producer’s level, the market at producer’s level seems to be fairly competitive. The purpose of the survey was to conduct detailed investigation on cost, benefit analysis of buffalo milk production in Sindh and it was carried out in the peri-urban areas of district Hyderabad. The target sample was buffalo milk producers who keep buffaloes on commercial level. Sampled respondents are divided in three categories i.e., small less than owning 10 buffaloes, medium 11-50 and large above 50. It was investigated that each producer keeps six, 25 and 70 buffaloes, respectively. 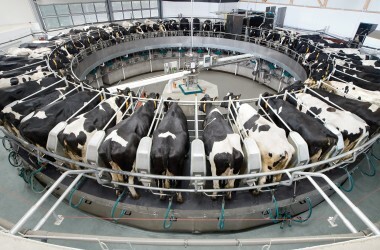 Milk production is a labour-intensive operation. Constraints like shortage of feed, high mortality rate, poor genetic potential, high input cost, scarcity of sources and inadequate marketing systems have rendered the sector undeveloped. Milk producers do not apply scientific method of feeding. The proper combination of feed can raise milk output. Sanitation conditions in sheds are poor. Milk is transported through pick-up, public transport and motorcycle in case of long distances, and on bicycle and horse or donkey carts for short distances. The road link between rural and urban areas is not well established and the distant producers, due to the high perishable nature of milk, are unable to bring it to urban markets. Animals with high genetic potential are the main source in dairy production strategy of any country. Pakistan owns quite a number of breeds having the characteristics of high milk production and are well adapted to local environmental conditions. There is a need for genetic evaluation and breed organization techniques. Services of artificial insemination should be extended. Superior fodder should be identified and propagated. Year round fodder production systems should be devised. Legume, non-legume crop combination could improve the feeding status of livestock. Better feeding of livestock could be achieved if vertical expansion of production is followed. Different rations should be formulated to achieve better utilization of nutrient in animals. Feeding should be aimed at keeping in view the physiological stage of animals rather than feeding animals haphazardly.